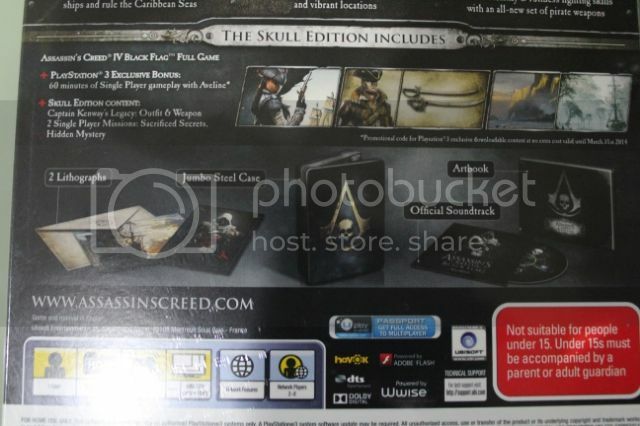 Here's the Assassin's Creed IV Skull Edition. 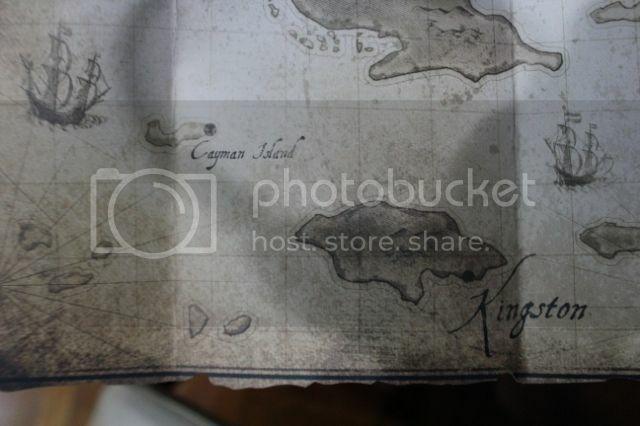 Map is just made of high quality paper but I like the jagged edges to give it a more realistic look. 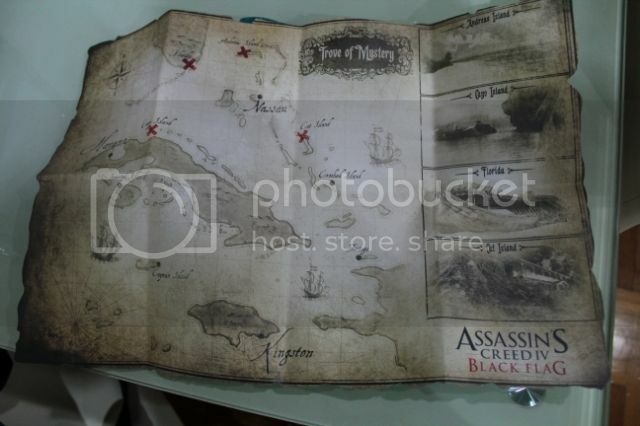 There are many different maps similar to this out there given out by different retailers but I didn't want to get them as I'm still hoping for a cloth map to be released. That will be a definite buy for me! 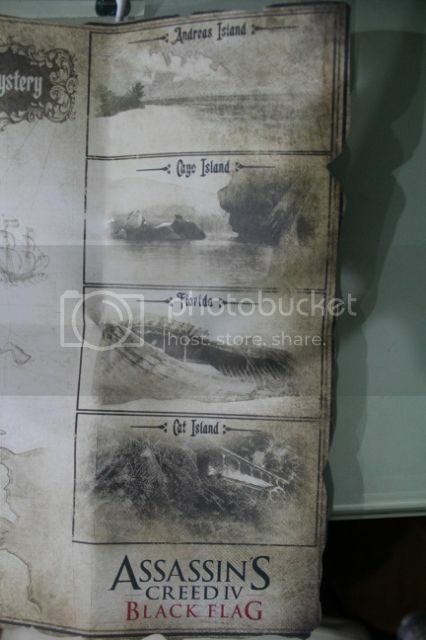 More pics of the map.. 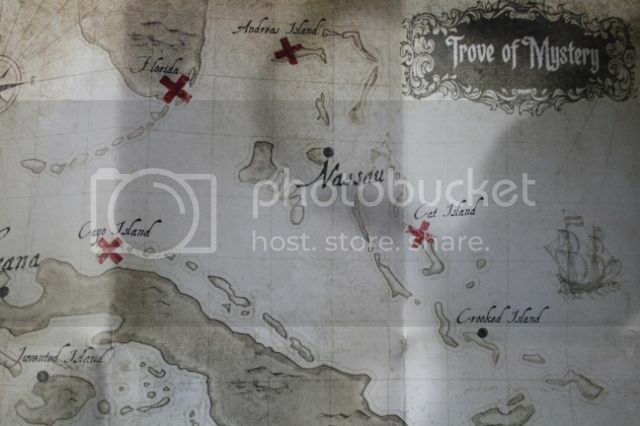 I have yet to play the game but I'm guessing all the locations are in-game locations and the "X" marks locations of treasure? Not sure but it will be nice to explore those areas. I love open-world exploration. In fact, I would love to explore secret locations in a game and see something cool that I wouldn't have expected but it's hard to do it in this day and age with spoilers and guides everywhere on the web. 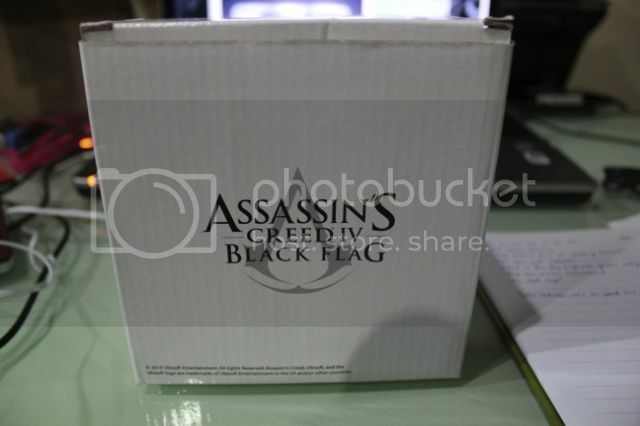 The Skull Edition itself is the most basic of all the CEs for Assassin's Creed IV with the only attraction of this being the jumbo steel-case. Contents are the Soundtrack, Artbook and 2 Lithographs which are all found in the other PAL region CEs. Just the basics, but I'm not looking down on this CE. It has all the essentials here and it may be the perfect choice for you if you are not into the other fancy stuff. 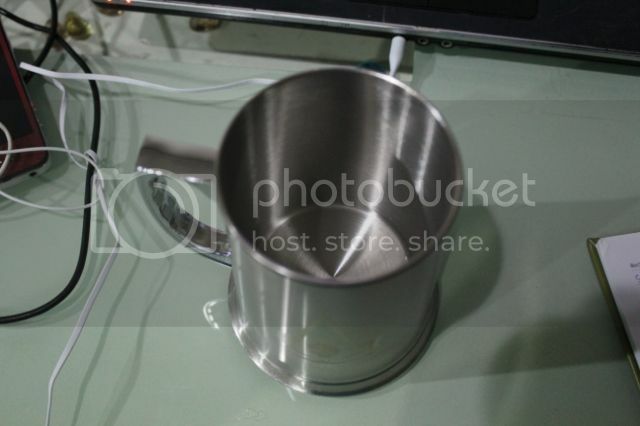 However, the only reason I got it was for JB Hifi's pre-order bonus..
BlackBeard's Tankard.. Or at least that's what it was marketed as..
Not the most stunning piece, fairly standard stainless steel mug. It could have looked more authentic. But I still feel it will still be a nice item to have along with all the rest of the AC IV items. 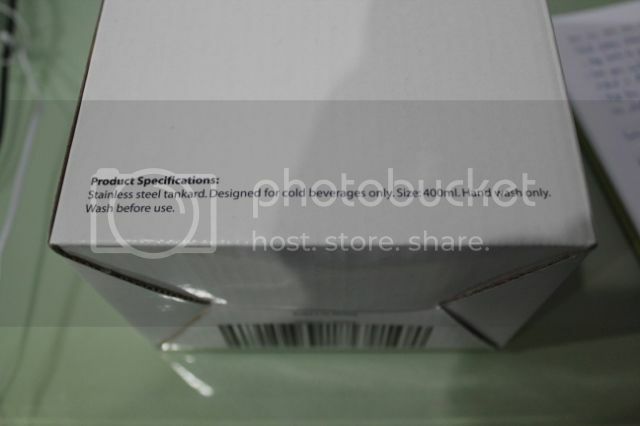 It came nicely packed in this box.. Thanks for the disclaimer but this will be for display purposes only..
Oh yea before I forget, the Skull Edition won't be opened as it will be up for sale. 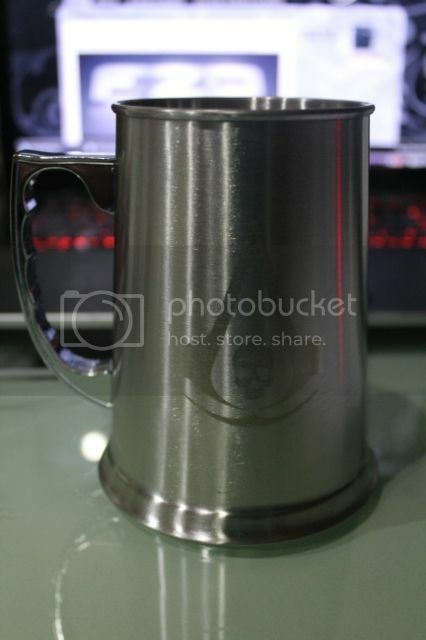 I have all the contents in the Black Chest Edition already and as mentioned, I only got this for the Tankard. 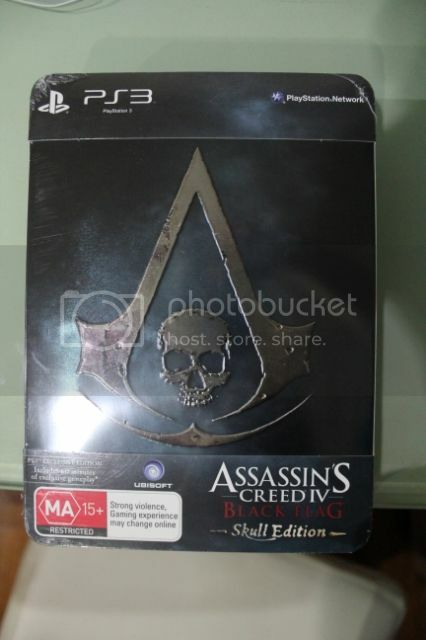 Looking to sell the sealed Skull Edition for SGD$90 if anyone's interested. 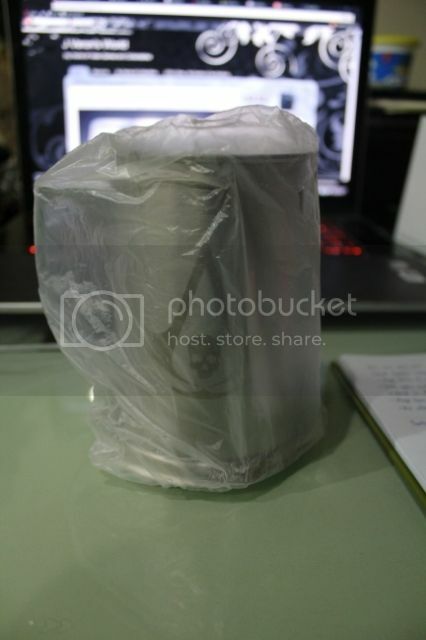 Again, I don't mind selling this internationally but you will have to pay for shipping. 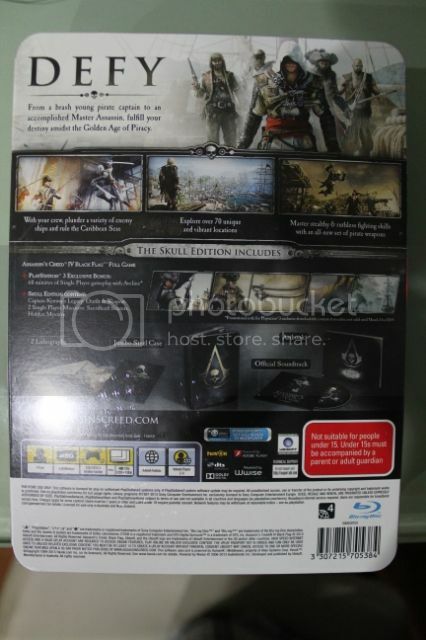 The AC IV Steelbook Edition is still up for sale if anyone is interested.